It’s the info you’ve been waiting for — hotel and location details for PoshFest 2015! This unforgettable weekend is your chance to take your Poshmark obsession to the next level. Time is running out to secure your spot with our limited discount, so hurry and register today! We’ve partnered with the super chic Parc 55 Hotel to offer attendees discounted room rates. Located in the heart of San Francisco, you’ll enjoy the vibrant city experience and epic shopping in Union Square! Update: Online reservations are now closed. Inquiries for rooms will be accepted via emailing rsvp@poshmark.com through Monday, October 26th. We’ll kick off Day 1 with the main event taking place at the gorgeous San Francisco Design Center located in San Francisco’s premiere design district. Be prepared to be inspired like never before. The following day, we’ll host workshops and breakout sessions at Parc 55, an intimate setting that is an excellent backdrop for continued learning and networking. 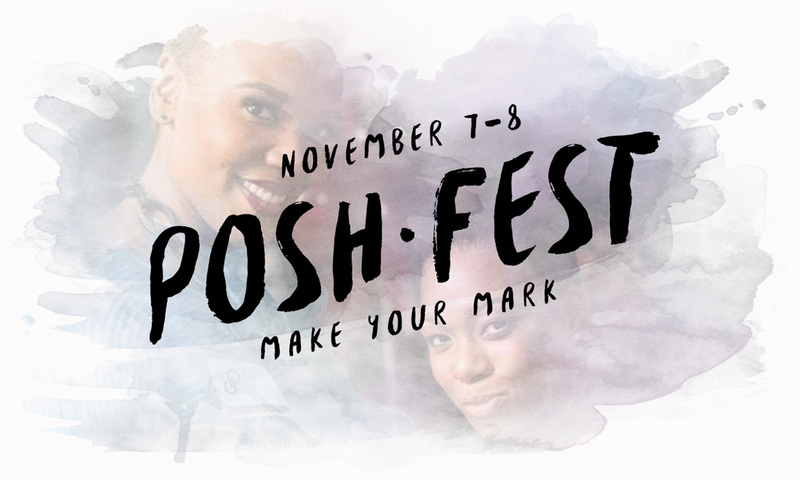 You don’t have to wait until November to get in on the PoshFest fun. What better way to kick off the event than with a shopping party? Join us in the app at 7pm PT tonight for a PoshFest-themed Posh Party! Whew, that was a lot of info. Don’t forget that first, even before snapping a selfie, you need to grab your discounted ticket before the price goes up on August 10th. Trust us, you won’t want to miss this incredible weekend. We can’t wait to see you in San Francisco! Psst! Don’t forget to share your PoshFest badge! Next Post Atlanta and Miami: Posh Party With Us! When is a posh event going to.seattle? Hi Valorie, you can register to attend PoshFest at poshfest2015.eventbrite.com. Hope to see you there! Hi, I am hoping you can tell me the time of the events on Sunday. I am trying to plan my flight and I’m unsure how much of Sunday is part of PoshFest. Thank you! Hi Claire, we are still firming up the schedule, but we don’t anticipate official events to go beyond 3pm on Sunday.